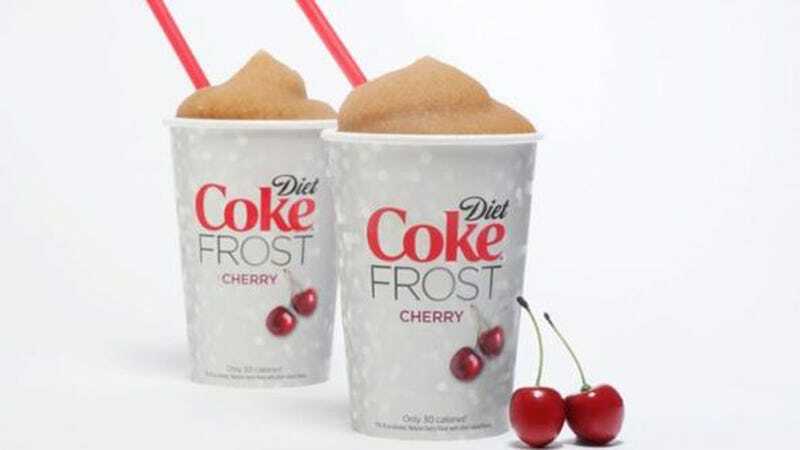 After a mere month, 7-Eleven has decided to pull Diet Coke Frost, one of the hallowed Slurpee's only reduced fat options, from stores. According to 7-Eleven's statement, the reason wasn't for health or safety issues, but that a significant number of stores had an issue with the product's "freezing consistency," resulting in no more promise of diet cherry goodness come summer. There's a reason why there are so few diet frozen products on the market, said John Sicher, editor and publisher of Beverage Digest. "Formulating diet frozen [soft drink] products with diet sweeteners is complicated, as sweeteners like sugar and high fructose corn syrup help control and enhance viscosity at cold temperatures," he said. I'm just gonna say it. I never got people's obsession with Diet Coke, and that translated to Diet Coke Frost, with just the name making me wrinkle my nose. Just drink the regular thing! Long live high fructose corn syrup!